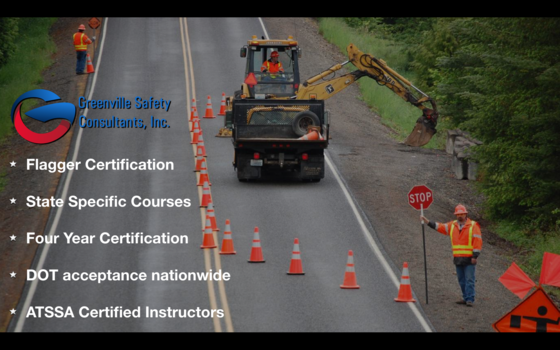 The Greenville Safety Flagger course is led by an ATSSA certified instructor at our site in Greenville SC. Or at your site. 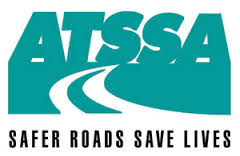 Leave with your ATSSA flagger card, good for 4 years! 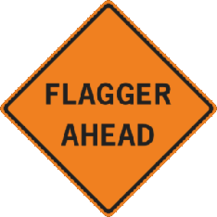 How many people are depending on your Flagger? Shouldn't your Flagger be properly trained? States that require Flagger Certifacation. OSHA Training in Columbia SC, OSHA Training in Augusta GA, OSHA Training in Atlanta GA, OSHA Training in Clemson SC, OSHA Training in Anderson SC, Safety Training in Greenville SC, Safety Training in Columbia SC, Safety Training in Anderson SC, Safety Training in Clemson SC, Safety Training in Augusta GA, Safety Training in Atlanta GA, Safety Training in Asheville NC, Safety Training in Hendersonville NC, Safety Training in Charlotte NC. Flagger Training SC, Flagger Certification SC, Flagger Certification Carolina, Flagger Training NC, Flagger Certification NC, Flagger Certification GA, Flagger Training GA, Flagger Training North Carolina, Flagger certification North Carolina, Flagger certification South Carolina.